Make life more easy-going in the most dapper way with this chair. 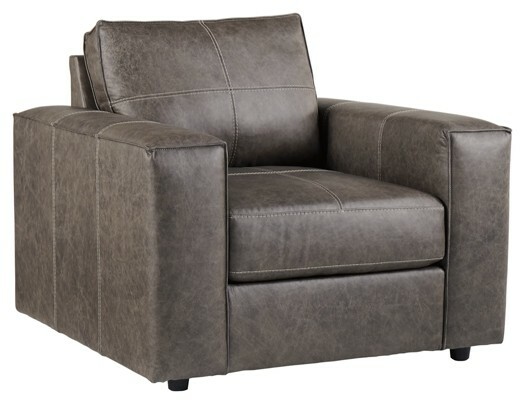 Soft and durable leather seating area is matched with a faux leather back and sides to give you quality without breaking the bank. 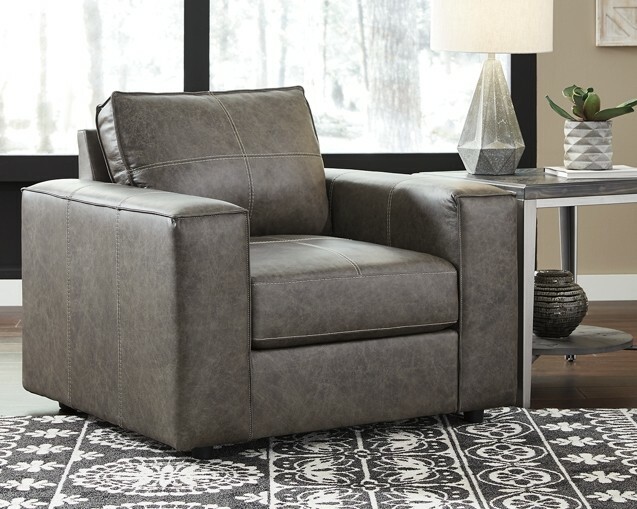 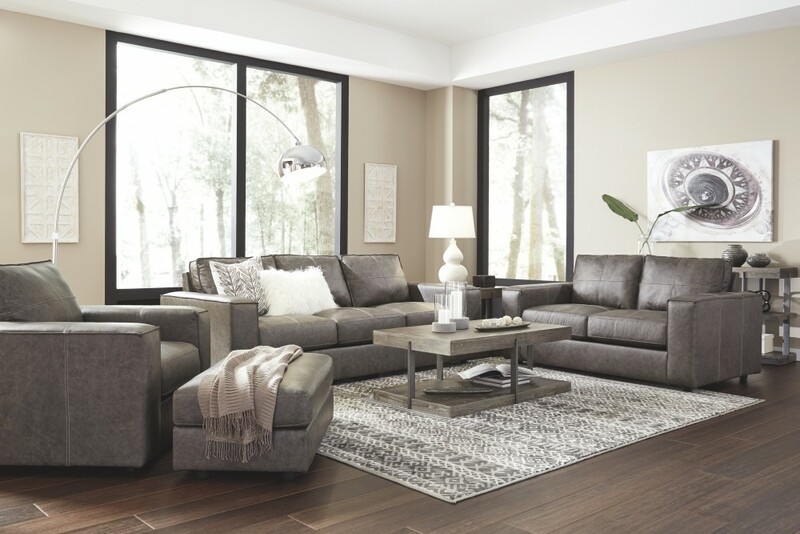 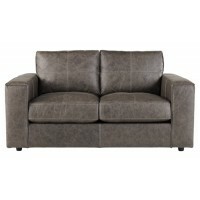 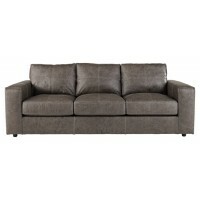 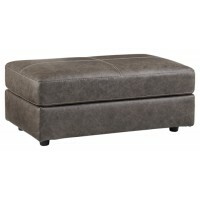 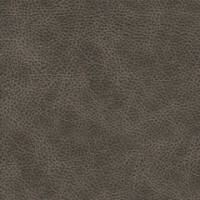 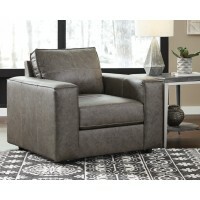 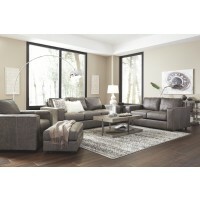 Down-to-earth warm gray upholstery and stylish jumbo stitching make this sleek profile all the more attractive. Flange welting accentuates the casual Euro track arms. 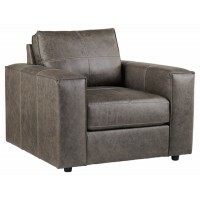 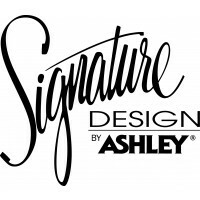 And with UltraPlush cushions for increased comfort, this chair has your name written all over it.